As you know, we have discontinued the pcDuino based Astroboxes and have switched to Raspberry Pi 3 as the primary method of creating an Astrobox Gateway. Side note: The AstroBox Gateway is different from the AstroBox Touch, which is a premium touchscreen that cannot be built at home. The AstroBox Gateway, on the other hand, is the free, open source version that can be built by anyone (which is covered in this guide). If you are NOT interested in creating your own AstroBox Gateway, you can buy a Raspberry Pi 3 Astrobox Gateway kit directly from us. Also, before you continue with either option, it’s a good idea to check out our printer compatibility page to make sure your printer is compatible. 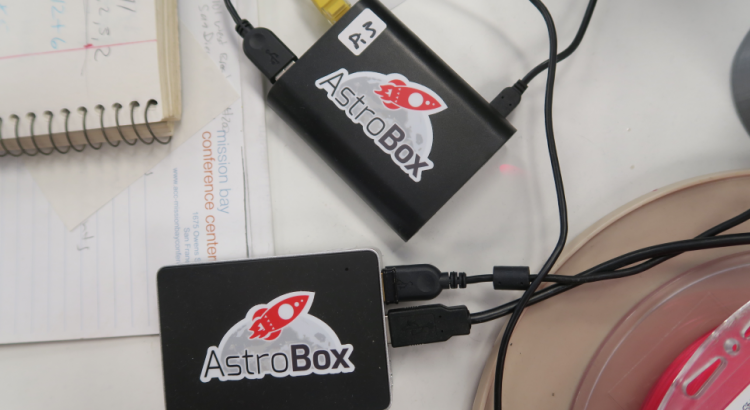 This is a brief guide on how to create an Astrobox Gateway using a Raspberry Pi 3. You can skip steps #2 and #3 if you already bought a pre-flashed SD Card from us.